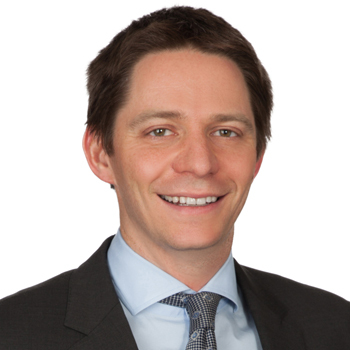 Gregory Huffman joined Canaccord Genuity in February 2016 as Global Head of Mining Sales, following six years at Scotiabank in 2010 in a variety of roles within the mining group. In addition to authoring the highly-regarded “High Grade Mining Minute” daily sales note, Greg has been consistently recognized as one of the “Top Sales Coverage of Resource Portfolio Managers” by Brendan Wood International. Greg spent almost 3 years as a buy-side global materials analyst for a U.S. multi-strategy hedge fund and 3.5 years as a sell-side mining research analyst with two independent Canadian brokerage firms, covering base and precious metal, as well as uranium companies. A geologist by training, Greg graduated from Laurentian University in Sudbury with a B.Sc. (Hons.) in Earth Sciences and worked as a geologist in Sudbury for Falconbridge and in Ontario and Quebec for a number of junior exploration companies including Lakeshore Gold, Aurora Platinum, Canadian Royalties, Golden Valley Mines, etc. He also sits on the Advisory Board for the Goodman School of Mines at Laurentian University.